This spring and summer have brought about extremely inclement weather events here in Kentucky. 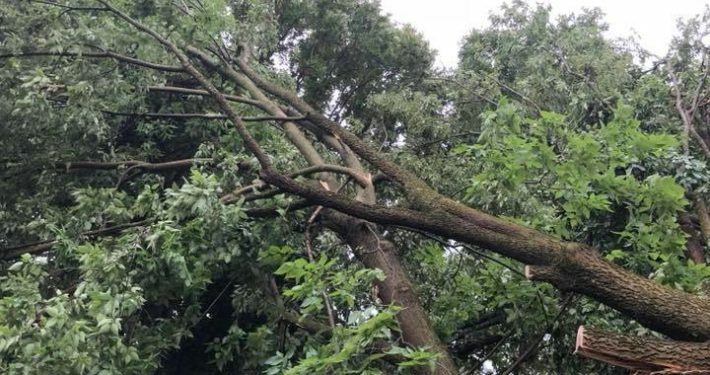 Several storms have left thousands of people without power, not to mention the huge mess to clean up because of fallen and damaged trees. Recently, Central Kentucky had such severe weather. which included tornado touchdowns and incredibly high winds. As many as 170,000 KU customers were impacted. It has been noted as one of the worst power outages since the 2003 ice storms. 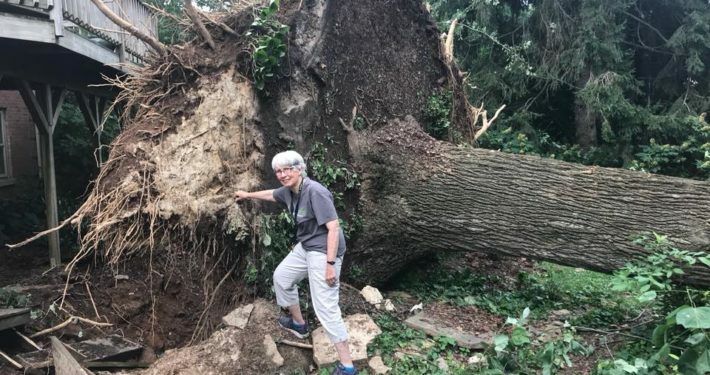 For many residences and businesses, the devastating weather left damage from large, uprooted trees and fallen branches. Almost everyone in the Bluegrass was affected in some way. 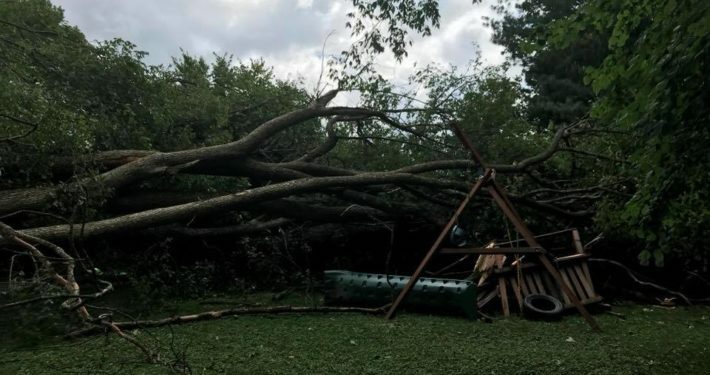 Many Kentuckians were left to clean up broken branches or entire trees that came down as a result of the extremely high winds. 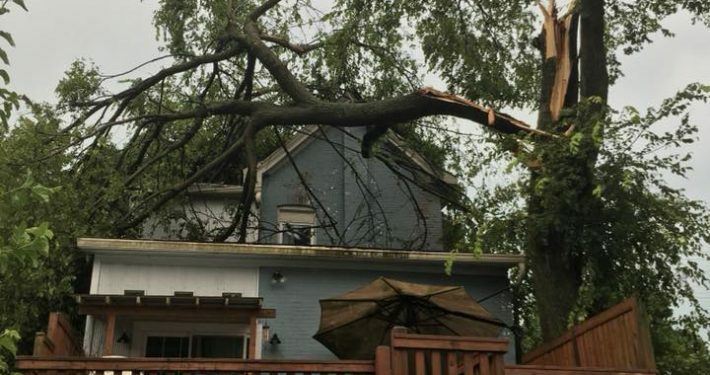 If your landscape received significant damage from branches, or especially a broken or uprooted tree, the best course of action is to call a qualified arborist for professional assistance. Not only can tree clean-up be incredibly dangerous, it can also prove deadly if any portion of a tree is contact with downed electric lines. Safety is of the utmost importance and cannot be understated. 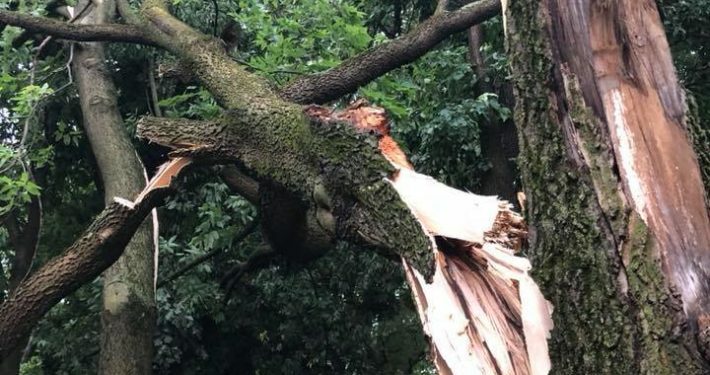 When branches or tree tops are broken and lodged aloft, as well as when large portions of trees come to rest on the ground, the forces of tension and pressure are highly unpredictable. Tree stability can be difficult to gauge until clean-up operations are underway. Even for our experienced arborists, every branch and each cut is taken in turn to reduce impact and ensure safety. Storms will always be a constant in the region where we live in. Every year, the Bluegrass sees several storms that wreak havoc on our communities. In addition to storms in the summer, heavy snowfalls and ice loads in the winter can take a toll on trees over time. 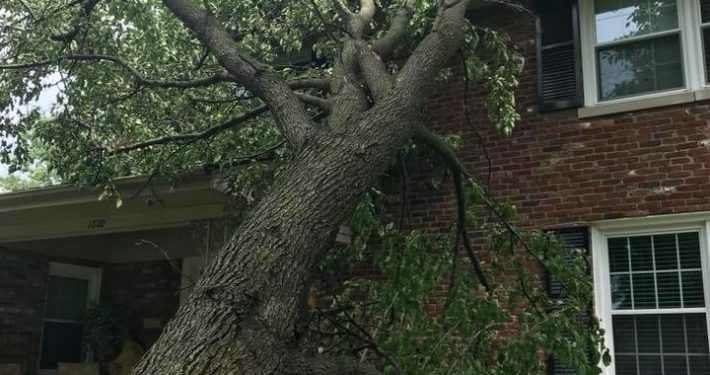 This makes regular maintenance and tree inspections vital to keeping your home and family safe from falling debris. Our ISA Certified Arborists are qualified by international standards (ISA TRAQ) to evaluate your trees. Our arborists provide assessments about potential risks your trees may pose to your property. From a formal Tree Risk Assessment to an everyday evaluation, a management plan or work proposal can be provided to mitigate risk and improve the health and safety of your trees. Problems that are recognized early are more easily dealt with. 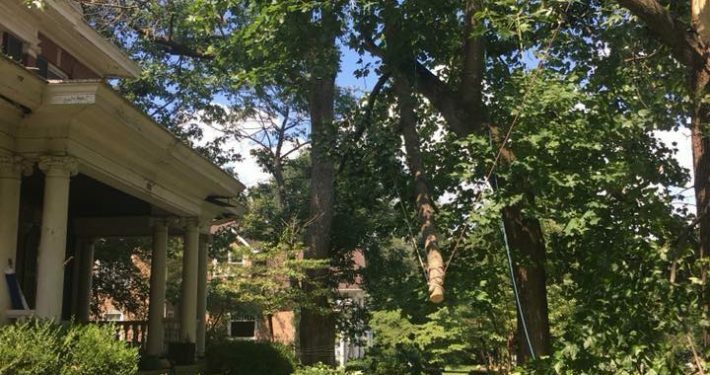 Removing damaged or dead branches, along with making corrective pruning cuts in the canopy, is essential to preventing disease and reducing further damage in the future. Trees that are well care for will recover more quickly than a tree with compromised health or vigor. Time and again, we see that well maintained trees also sustain far less damage than their unmaintained counterparts. 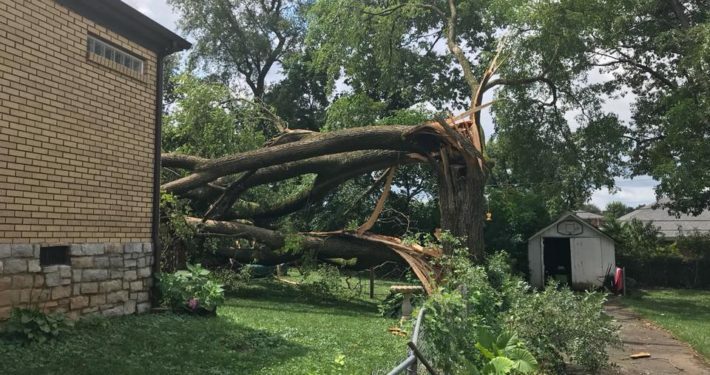 As always, if you are in need of a tree care expert right away, please call or text our office at 859-967-6907 and provide your name, address, and level of urgency. We prioritize emergencies based on their level of urgency. If your work is not urgent, please be patient with our staff as we work through the dangers posed on other properties. With every job, we seek to provide the level of detail required to perform the work as safely and as efficiently as possible. Please use caution if doing any work yourself. Storm work is extremely dangerous! Your safety is the most important thing!